Michael Brown was a thug. If you don’t like the term, too bad. That’s what he was. He was a 6’4, 300-pound punk, who prior to assaulting a cop and trying to steal his weapon, went into a local store, grabbed a handful of cigars right in front of the owner and then pushed the much smaller man around like he was a dog who got in the way. It’s all on camera. Early on, the Obama justice dept. tried to get the filmed evidence squelched because it didn’t fit into their prosecutorial narrative. Thankfully, they were unsuccessful. Without the video, the story that Michael Brown was just a gentle giant, waiting to go to college and makes something of himself would’ve been hard to refute. Meaning, for the Obama administration, it wasn’t the White police officer who was really on trial, it was American racism. 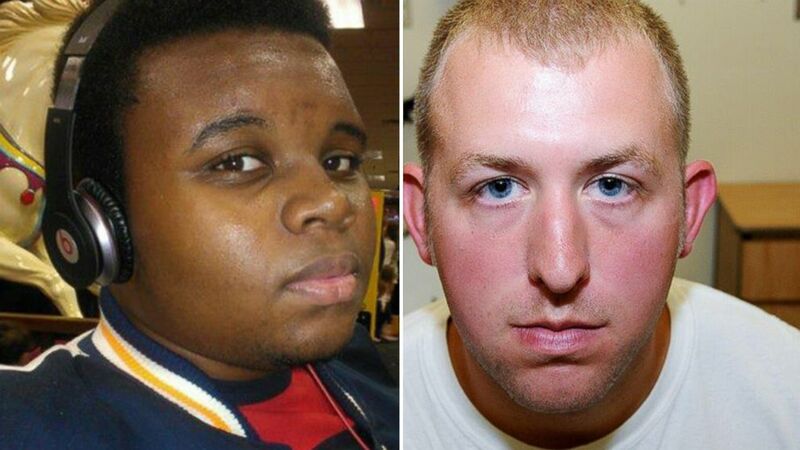 Darren Wilson, the cop in question, was the stand-in for the rest of us. “Us” being White, privileged Americans. That’s why the actual guilt or innocence of either Darren Wilson or Michael Brown was a secondary consideration. They were symbols, that’s all. Michael Brown was Black America and Darren Wilson was White privileged America with a gun. This gave the Obama justice department the tools needed to stage an event. But, the story didn’t pan out as planned. Like the Trayvon Martin case, the media’s storyline was a manufactured farce. It was still profitable, though, because it drove a spike straight through the heart of American culture. ​For Obama and crew, it was a tool. Justice wasn’t really the issue. At least, not regarding the particulars of the case. Justice, as they saw it, was about the injustice of 400 years of slavery and Jim Crow that Blacks had endured. If Darren Wilson needed to be sacrificed for a crime he didn’t commit, it was one life juxtaposed against tens of millions of Black lives. That’s why Michael Brown is held in high regard by the democrats, as is his family. Because they are more than people. They are symbols. It’s also why the Obama administration sent 3 representatives to Brown’s funeral—as an act of solidarity—but sent no representatives to the funerals of various military personnel, with long-term records of service to the country. Likewise, after the Paris slaughter of more than a hundred people by Islamic radicals, when world leaders gathered together to mourn the dead, no one was sent to represent president Obama. He, no doubt, would disagree with the methods used by Muslim extremists, but you can rest assured, he sees the perpetrators as symbols, as kin to Michael Brown. Were they criminals? Murderers? Certainly! But, they were also victims of American hegemony. In that sense, Barack Obama is sympathetic to their cause, even if he is repulsed by their actions. Not surprisingly, even as Brown’s family were welcomed guests at the democratic national convention, god is unwelcome, because it is the Christian God that is generally being invoked. That version of god is the slave master’s god. The racist god. The sexist, homophobic god. Allah, by comparison, may not be openly ingratiated, but he will never be booed by the party. He is the god of the downtrodden, and his followers stand in solidarity with the DNC’s culture of victimhood. This unified vision exists only in their imaginations, of course. In reality, nothing could be further from the truth. But, for political purposes, the truth is disposable, as it is with all cults. That is the Democratic Party as it stands today. Or, it is, at the very least, a vital part of it. Division = unity. Lies = the truth. Segregation = inclusion.